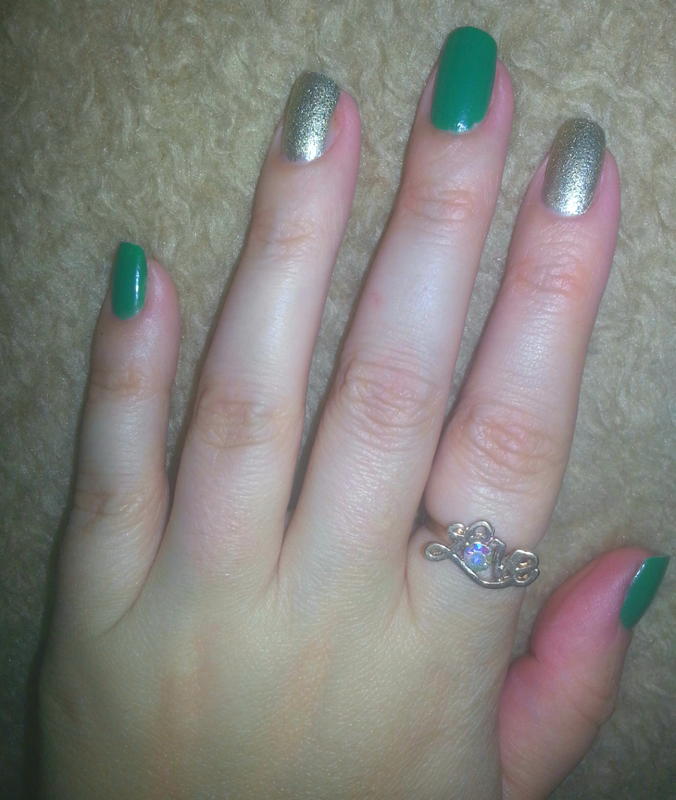 I actually really dislike the colour green but I love this green nail polish. It’s a perfect shade for this season right now where you’re not quite ready to give up on the bright summer colours but you’re transitioning over to the fall shades. Anyway, I’ve been rocking more short and natural nails lately. I go through this stages where I grow my nails real long and love it then I get irritated at work because I can’t type properly and chop it all off… but I kind of like the more natural length. 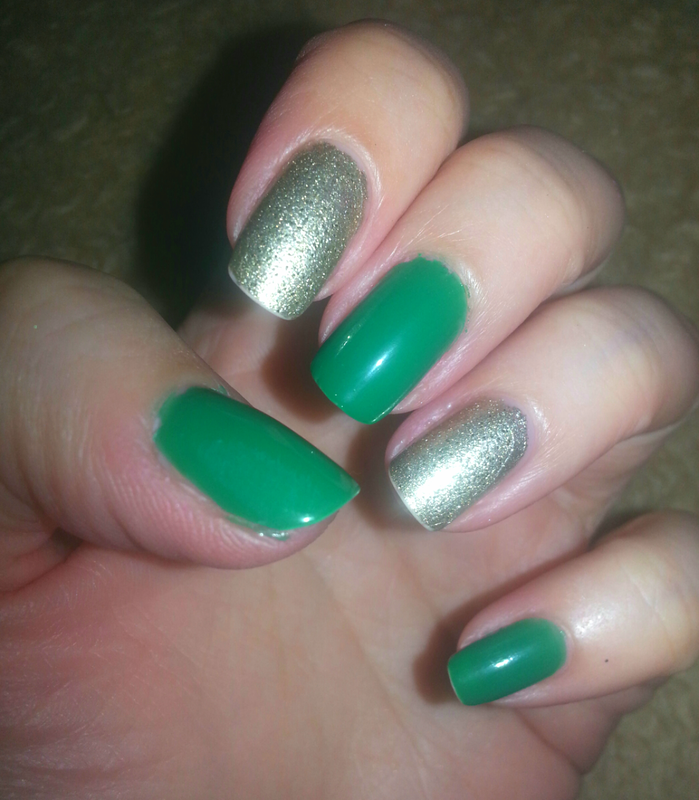 The two colours I used here are both by Revlon. 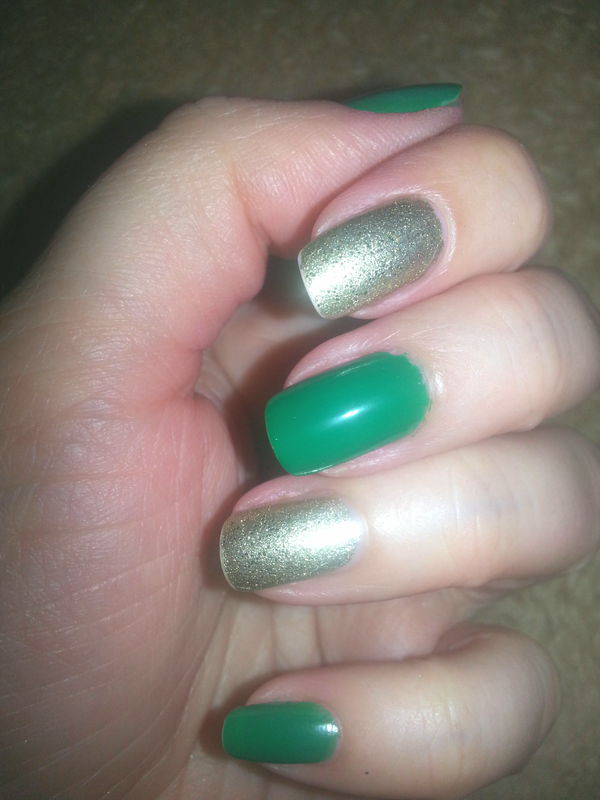 Green is Posh and Gold is Gold Coin. Love them both. Simple but effective! A great colour combo.